Jeffrey Lent's previous novels have earned him comparisons to Cormac McCarthy, Pat Conroy, and William Faulkner, and his book In the Fall was hailed as one of the best of the year by the Christian Science Monitor and the New York Times. In A Peculiar Grace, Lent has delivered a book that takes his oeuvre in a new direction, a brilliant portrait of love, destruction, and rebirth in modern-day Vermont. Hewitt Pearce is a forty-three-year-old blacksmith who lives alone in his family home, producing custom ironwork and safeguarding a small collection of art his late father left behind. When Jessica, a troubled young vagabond, shows up in his backwoods one morning fleeing her demons, Hewitt's previously hermetic existence is suddenly challenged-more so when he learns that Emily, the love of his life whom he'd lost twenty years before, has been unexpectedly widowed. As he gradually uncovers the secrets of Jessica's past, and tries to win Emily's trust again, Hewitt must confront his own dark history and his family's, and rediscover how much he's craved human connection. The more he reflects on the heartbreaking losses that nearly destroyed both him and his father, however, the more Hewitt realizes that his art may offer a deliverance that no love or faith can. 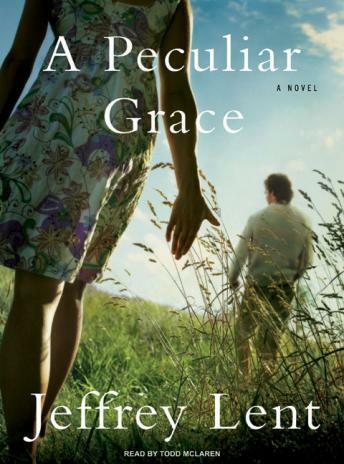 Set in the art scene of postwar New York, a commune in the early seventies, and contemporary small-town New England, A Peculiar Grace recalls Kent Haruf and Wallace Stegner. It's a remarkable achievement by one of our finest authors and an insightful portrait of family secrets, with an unforgettable cast of characters who have learned to survive by giving shape to their losses.